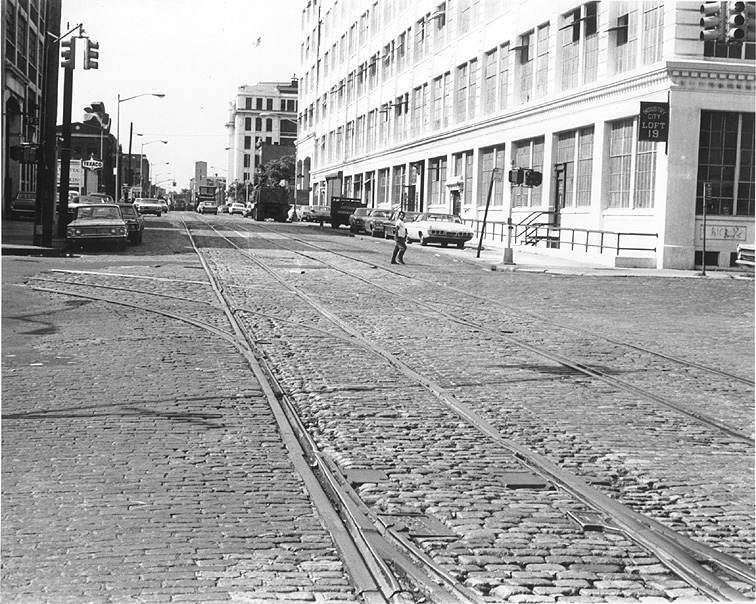 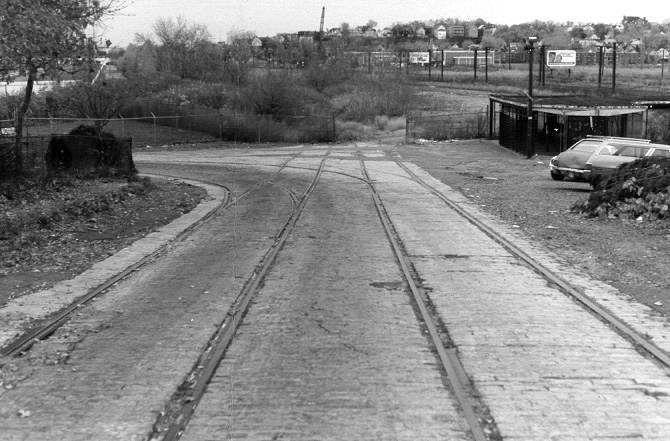 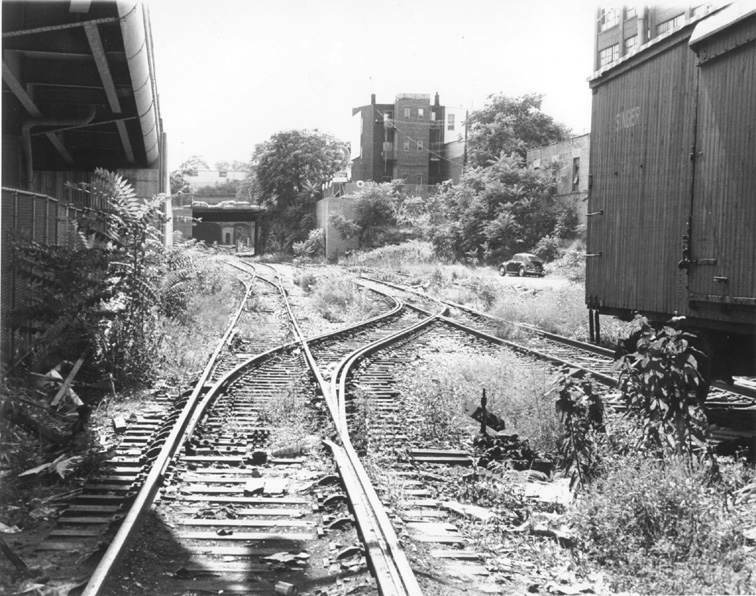 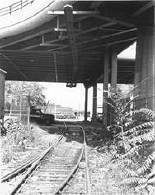 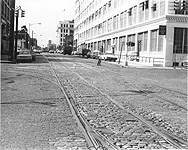 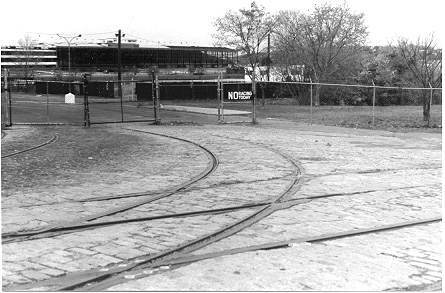 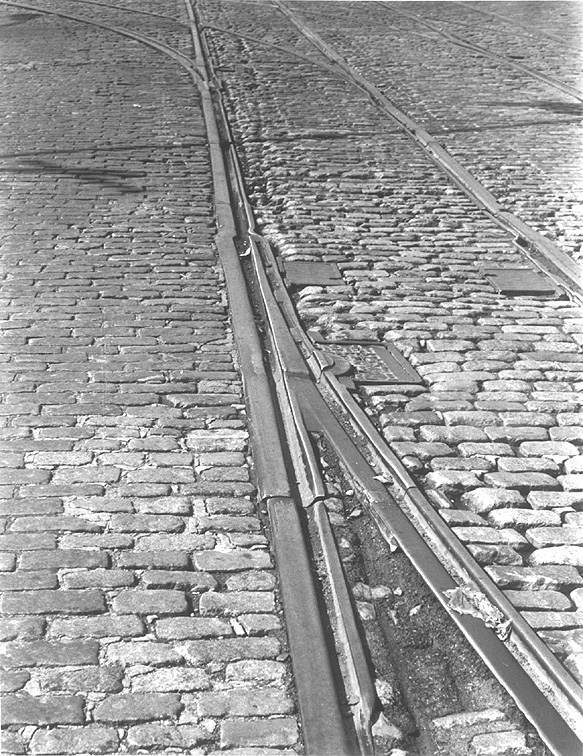 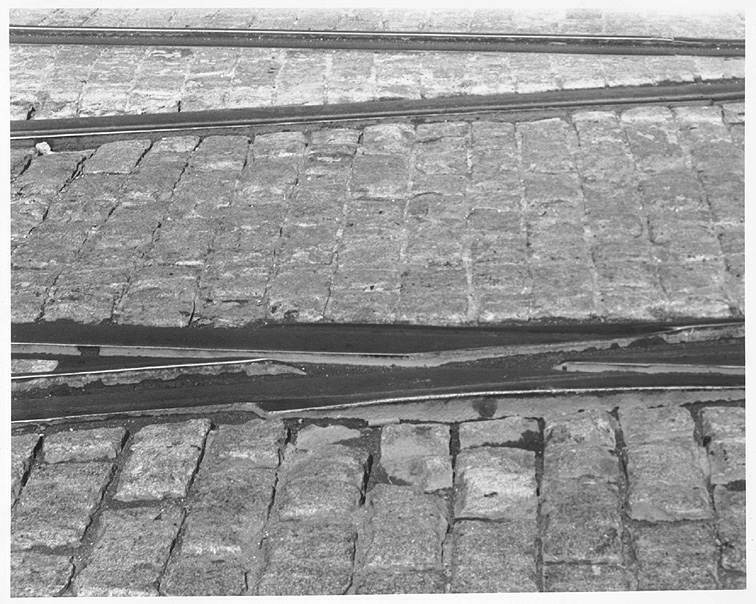 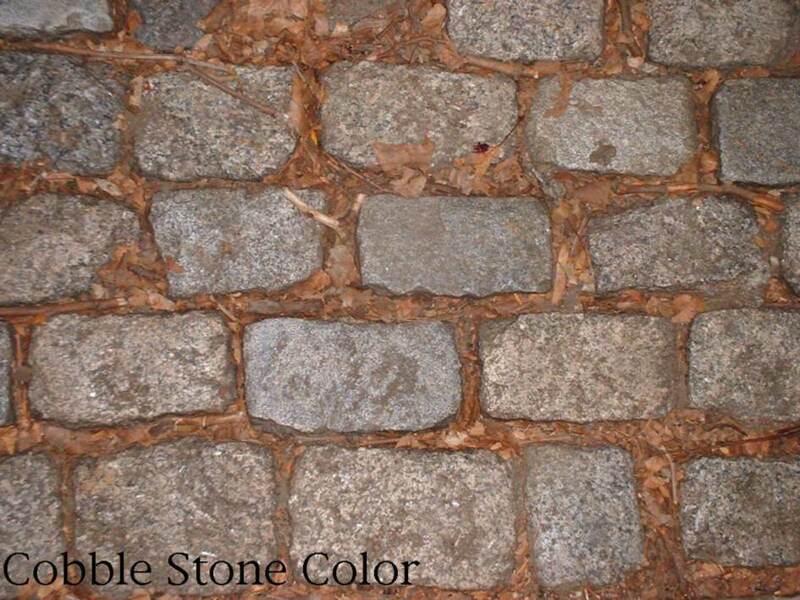 Most of the following photos were taken in the 1970's along the old South Brooklyn Railway right of way on Second Avenue at 39th Street in Brooklyn. 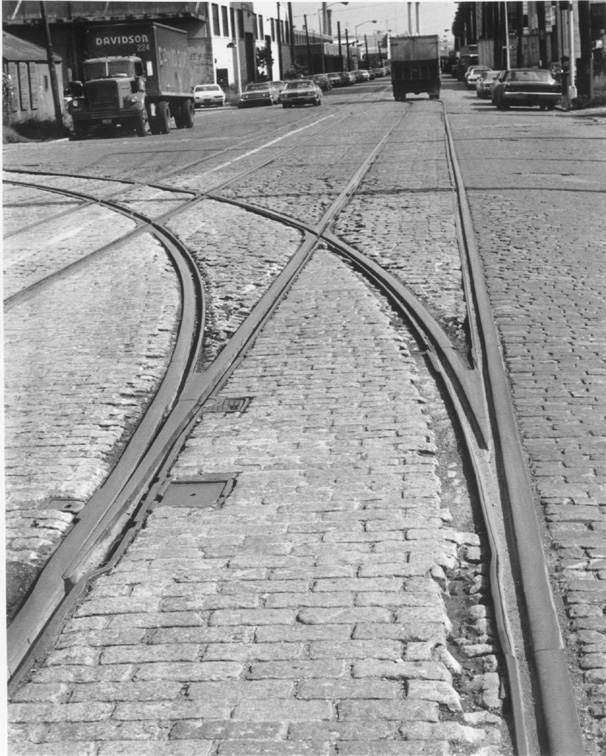 There are two photos taken at the 38th Street cut which was the main connection between the SBRWY and the BRT and later the NYCTA. 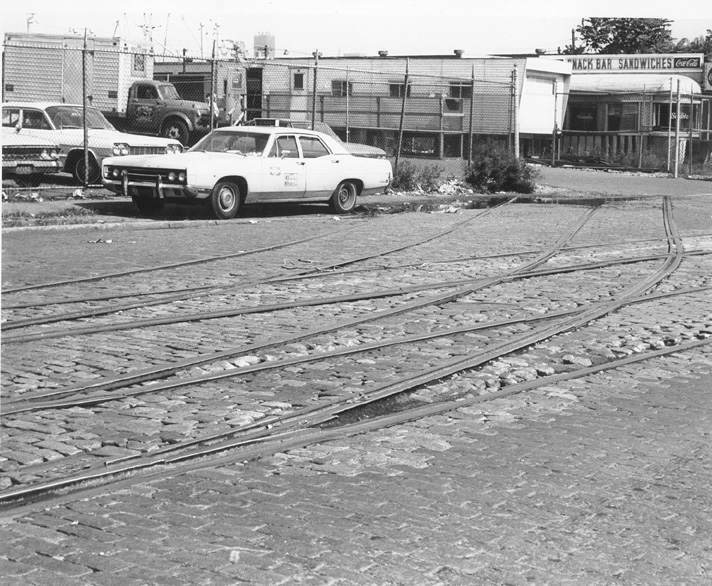 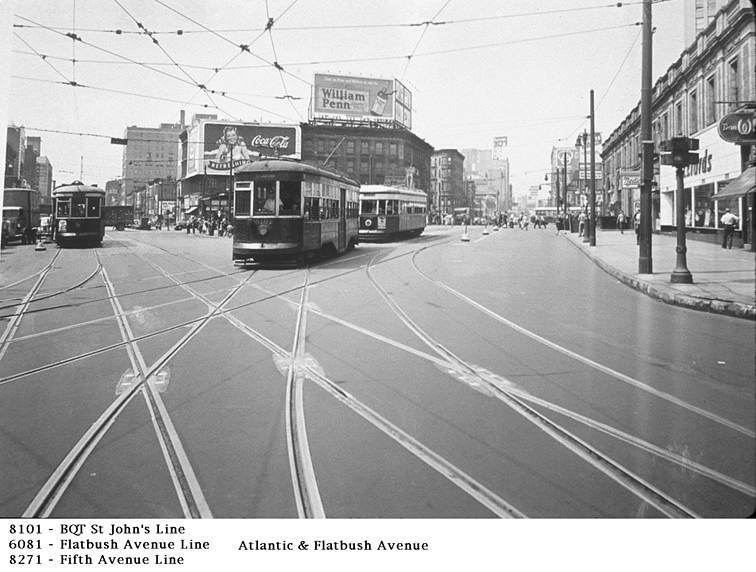 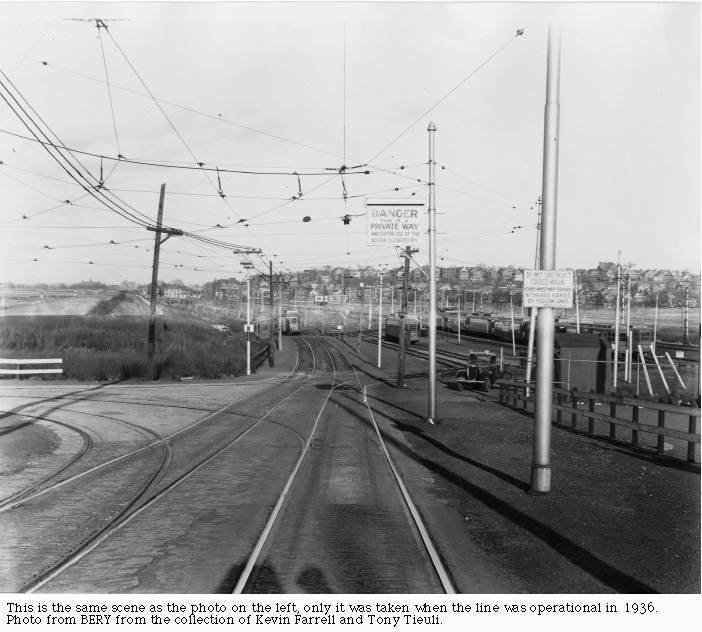 Quite a few subway cars were delivered to the TA along these tracks, coming to Brooklyn on car ferries from New Jersey. 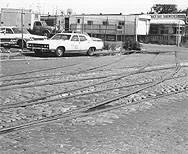 The R62's were one such series delivered that way. The Davidson Pipe yard can be seen in the distance under the BQE Expressway - a Cosco Store now occupies the former Davidson Pipe yard, which if you go back far enough in history was the 39th Street ferry terminal stop and yards for the BRT. 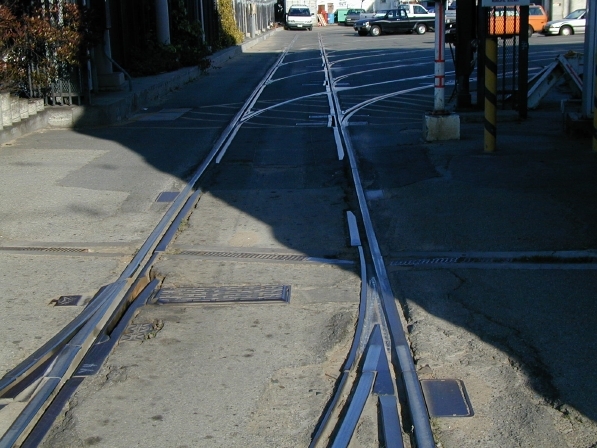 The following photos were taken by Tony Tieuli in San Francisco in May of 2003. 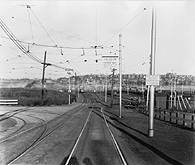 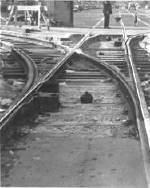 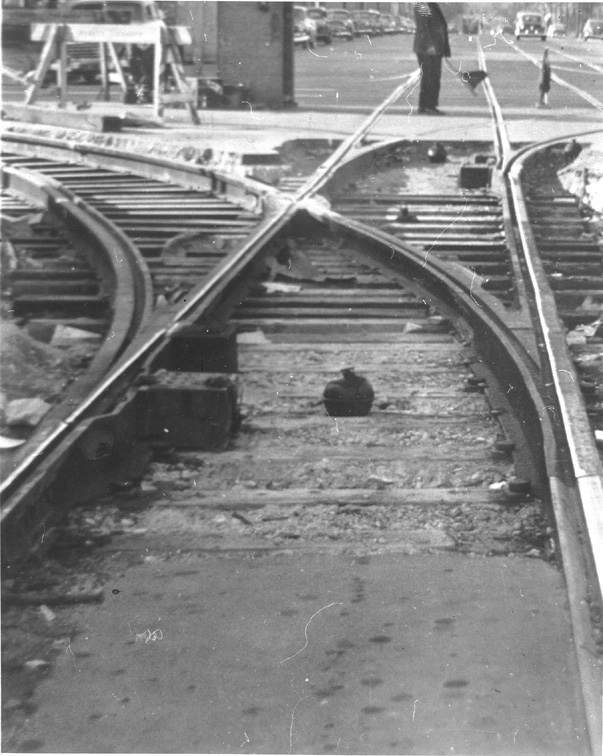 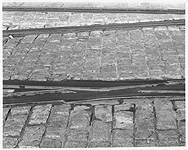 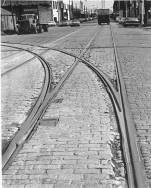 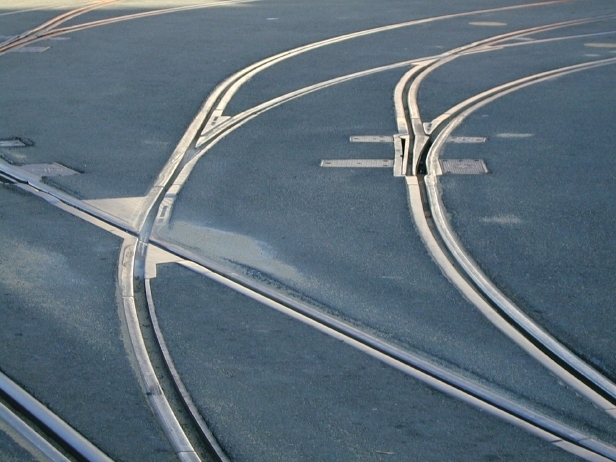 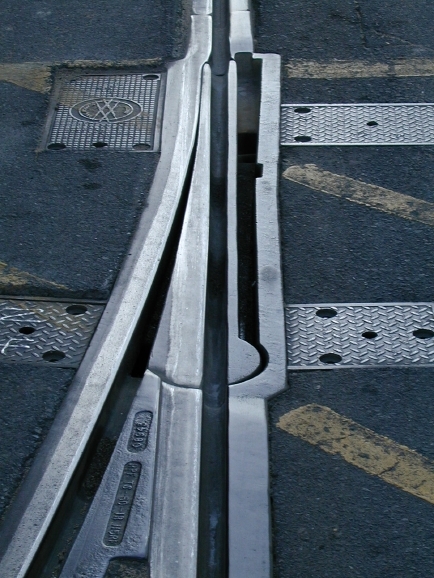 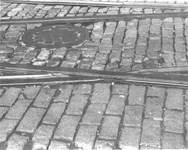 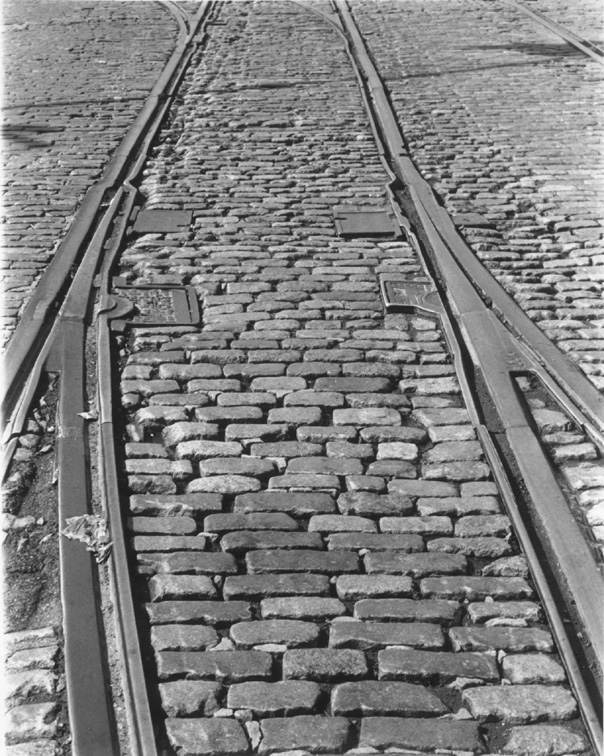 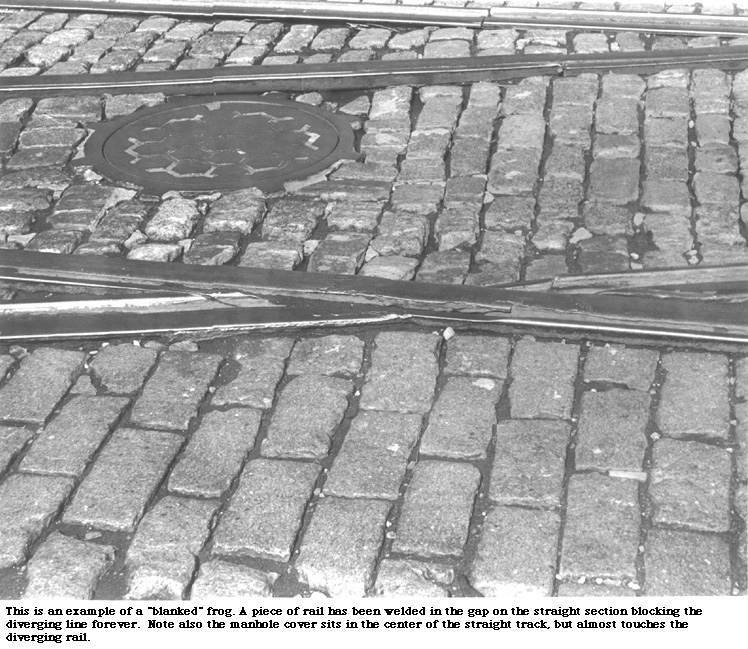 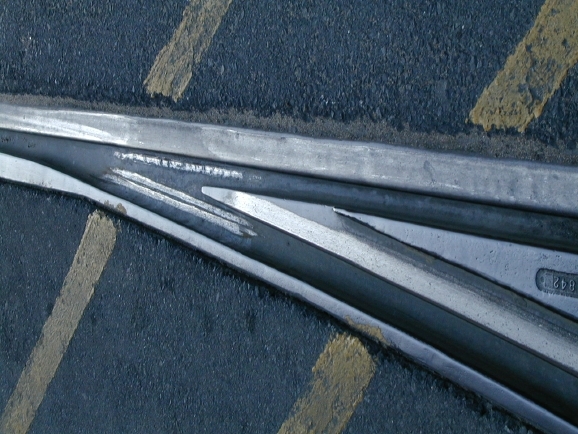 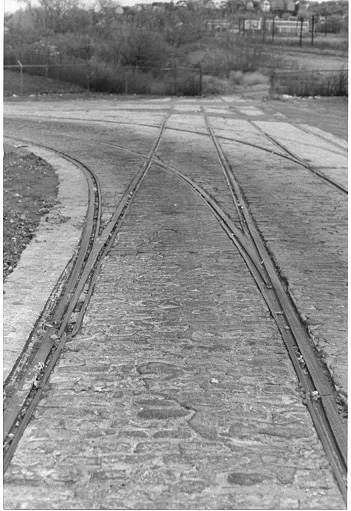 It shows the more "modern" way of doing street trackage.